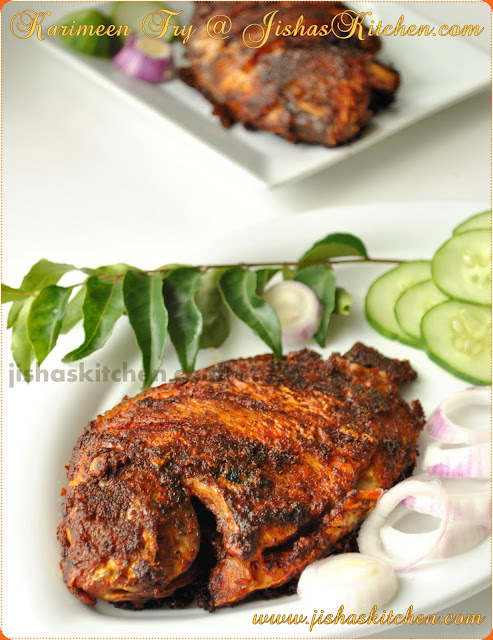 Today I am sharing the recipe of Mushroom Roast or Mushroom Fry. I saw this recipe in a magazine. But I felt the recipe was a bit confusing. So I did some changes and made it in my own way..And the final result was drool-worthy. 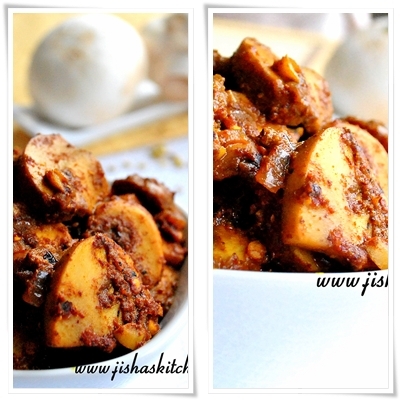 Mushroom fry / Mushroom Roast can be a perfect substitute for those who love Beef Roast / Beef Ularthiyathu. Heat 1/2 tsp oil in a pan and roast dry red chillies till it become dark in color. Then in the same pan roast coriander seeds in a low flame till it become brown in color. No need to add oil and allow it to cool. Then grind both roasted coriander seeds and roasted red chillies to a fine powder. Wash the mushroom pieces and drain it nicely. Then heat oil in a pan and add crushed spices and fry for 1 minute. Then add chopped onions, chopped green chillies, ginger and garlic and saute till onions become soft. Then add chopped tomato.And fry till tomatoes are nicely done. Then add turmeric powder along with mushroom pieces and salt. Then mix it nicely. Note: No need to add water, as mushrooms will cook in its own juice . Cook for about 5-10 minutes.Do stir in between. Then add curd along with powdered red chillies and powdered coriander seeds and mix it nicely. And allow it to cook for another 5-10 minutes or till almost all water is evaporated. Finally add chopped coriander leaves and remove from the flame. Variations: You can even use 2 tbsp of coriander powder and 1 tbsp of chilly powder instead of roasting and grinding dry red chilies and coriander seeds. Good to have with Chapathi / Rice. lovely clicks! Roast looks so tempting! Terrific and extremely droolworthy roast, wat a click! 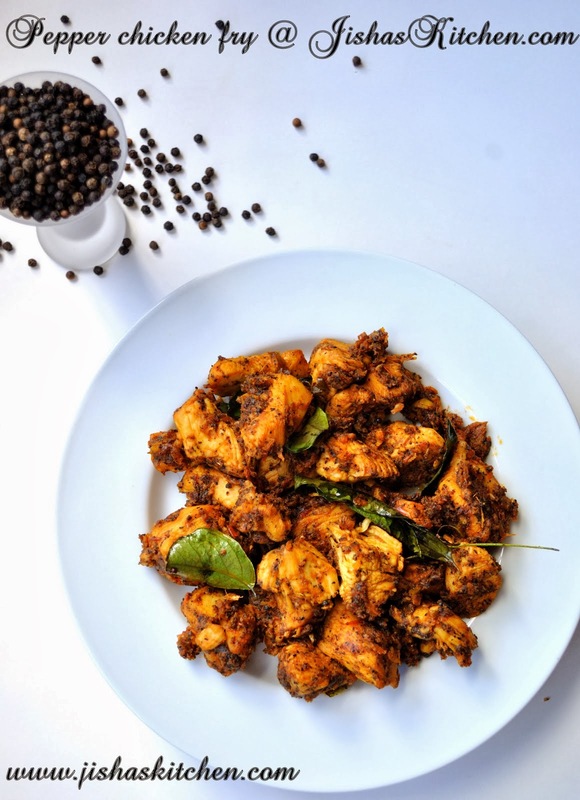 Lovely clicks and a nice recipe dear. Drooling..looks so yummy roast,superb clicks dear. 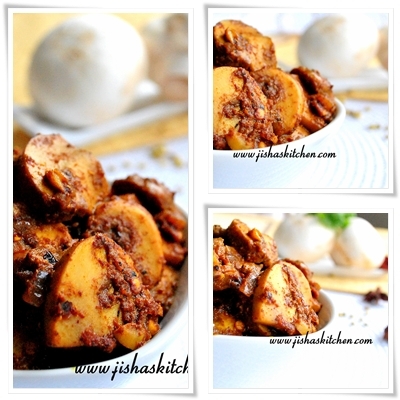 My family love this :-) Nice clicks Jisha..
Nice recipe.. looks simply superb ! !